Being as it's the 1st of December tomorrow, we thought we'd give you all a treat to get your festive season off to a flying start. Instead of just doing one Gadget Deal of the Week like usual, we've gone above and beyond to bring you a double gadget deal bonanza - two gadget deals for you to start your weekend with! Talk about your flying fish! The Air Swimmers have always been one of Gadget Inspector's most popular products, and now that the Flying Shark and Flying Nemo are just £23.99 each (RRP £39.99), they're sure to get even more popular over the next week. The remote control Air Swimmers make great Christmas presents, so whether you want a ferocious Flying Shark or a colourful Flying Clown Fish, you'd better order yours now to avoid disappointment! If you struggle to put down your smartphone, these Touch Screen Gloves will allow you to keep fiddling with your phone even when you're wrapped up warm for winter. The innovative design keeps out the cold while allowing electrical impulses to pass from your fingertips to the screen. You can get Black Touch Screen Gloves or cream-coloured ones instead, and either way they'll make a great gift for your favourite gadget geek this Christmas. The gloves were £9.99, but for the next seven days you can purchase a pair for just £5.39! These great deals will last until next Friday, when we'll be announcing yet another great gadget deal for you to get excited about. Remember to check back, and until then, happy December! Put the micro drone between two slices of bread, serve it to a friend under the pretence of making them a tasty sandwich, and give them a shock by making the drone fly away when they're about to take a bite. Place a small action figure on top of the quadrocopter, fly up to a reasonable height, and perform a flip to toss your brave hero into Felix Baumgartner-esque freefall. Hover your micro drone as close to your friend's head as you can while simultaneously dodging their increasingly irritated attempts to swat it away. Find a decent-sized pond and see if you can make your quadrocopter 'hop' from lily pad to lily pad without getting it wet. Fly it into the wall. Use some string to tie a £20 note to your micro drone. Leave it in a public place (conceal the drone as best you can) and lie in wait for someone to spot the money. When they try to pick it up, make the drone fly away, cash in tow. Wear it as a jaunty and futuristic-looking hat. Fit your quadrocopter with some sort of laser-based firearm and use this agile, airborne weapon to TAKE OVER THE WORLD. Hold the micro drone above your head and get your friend (if you still have one) to man the controls. All being well, you should take flight; if you don't, it probably means that you need to lose some weight. Fly it around like some kind of cool remote control helicopter. Purchase your very own Micro Drone Quadrocopter from Gadget Inspector now! Follow Gadget Inspector on Twitter for great deals, witty conversation, and a new #UselessFactoftheDay every day. Well, we all knew that the robot uprising couldn't be far away, and now it's finally arrived. Fortunately for the human race, these robots aren't looking to destroy us - they just want to play! Gadget Inspector's remote control robots make perfect Christmas presents for gadget geeks, especially if they've already got one RC robot for the new one to be friends with. Or, in the case of the Combat Creatures Attacknid [no longer available], another RC robot for it to fight to the death - the stomping spidery brute shoots flying foam discs and comes with detachable armour that springs off when hit. If that game sounds a little too violent for you, we've another six-legged RC robot who isn't a heavily armoured war machine. CyBugs [no longer available] are creepy-crawly remote control robots that come in a range of colours and scuttle around just like real bugs. And finally, if you're looking for non-insect remote control robots, you'll love our Remote Control Inflatable R2D2. He's just as lovable as the droid you know and love from the Star Wars films, with added squishiness. He's the perfect RC robot pal for kids and adults alike! How Smart Is Your Smartphone? Ah, the smartphone. It's the essential gadget for modern life, and while plenty of people are still using regular old non-smart phones (or 'stupidphones', if you will), it's getting harder and harder to find someone who isn't plugged into the apps and the 3G and all that other stuff. And for a gadget website like Gadget Inspector, the ubiquity of the smartphone is a godsend because it opens up a whole new world of gadgets for us to get our hands on. 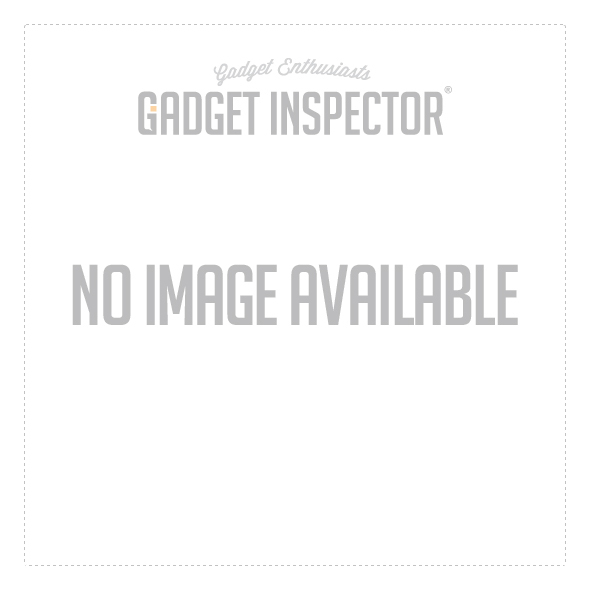 We're seldom short on smartphone accessories, and whether you want a cool iPhone case or an RC Helicopter that you steer with your smartphone, Gadget Inspector will provide. We've got a great range of stuff for your smartphone, including a pair of Touch Screen Gloves that will keep you playing right through winter and a cushioned Smartphone Wedge that will prop up your device in style. Whether you're an Android addict or an iPhone enthusiast, your smartphone will never be short of an accessory or two when you stick with Gadget Inspector. Have You Seen Our New Gadgets Yet? With December mere moments away, everyone's on the lookout for great Christmas presents. If you're a parent seeking Christmas presents for your kids, or just a big kid who wants some fun new gadgets to play with, then you're in luck because Gadget Inspector has come up with a coupel of brilliant toys that are sure to light up their little faces on Christmas morning. This Remote Control Spy Helicopter with Spy Camera, for example, is a whole new breed of remote control toy. It's just as high-flying and easy to control as all of our remote control helicopters, but this one comes with the awesome addition of a fully-functioning camera. This allows you and the kids to see what the copter is seeing, so whether you're spying on your family or just enjoying the view from up there, these new gadgets are a must for budding pilots in need of Christmas presents. Elsewhere in our stack of new gadgets you'll find the Attacknid Robot [no longer available]. It looks like any old remote control spider, but factor in the ability to shoot foam discs and the body armour that springs off when hit by another Attacknid and you've got yourself the coolest of the cool new gadgets. A pair of fighting Attacknids would make fantastic Christmas presents, or you can just stick to one and have some fun terrorising your household with your awesome armoured spider. There are plenty of other brand new gadgets for you to discover this December, so no matter what kind of Christmas presents you're after, rest assured that you'll find them on our gadget website.